Finding Vivian Maier nominated for Best Documentary? It was one of the worst documentaries of 2014. Vivian Maier’s Photographs Are Stunning. But the Oscar-Nominated Movie About Her Is a Mess. When the documentary Finding Vivian Maier was released last spring—accompanied by a burst of interest in the life and work of its subject, an eccentric and reclusive street photographer whose vast body of work remained almost entirely unseen until after her death in 2009—I decided to skip reviewing it. Maier’s magnificent photographs were already being widely seen and appreciated, on Slate and elsewhere, thanks to John Maloof’s discovery of the photos and the documentary, which Maloof co-wrote and co-directed with Charlie Siskel. It seemed churlish to turn potential audiences away from a film about a brilliant and near-forgotten artist just because Maloof happens to come off in the movie as a self-aggrandizing, privacy-invading twerp. But now that Finding Vivian Maier has been nominated for an Oscar for best documentary—in a year of superb under-recognized docs like Happy Valley, Jodorowsky’s Dune, and The Overnighters—I can keep quiet no longer. If anything, Finding Vivian Maier is one of the worst documentaries I saw in 2014, or at least the one with the most glaring mismatch between the intrinsic value of the material and the degree of aesthetic, intellectual, and moral care with which that material is presented. Vivian Maier deserves a far better documentary than Finding Vivian Maier—and, I suspected by movie’s end, a better custodian for her work than Maloof, who often seems as invested in crowing over his luck at stumbling onto this stash of images as he is in understanding the art of those images, or the complex and troubling life of the woman who created them. If it’s beginning to bother you that I’m now four paragraphs into this review and have spent more time talking about John Maloof than Vivian Maier, welcome to the world of Finding Vivian Maier. Maier was a French-American woman who never married or had children, working for most of her life as a nanny and housekeeper to a multitude of Chicago families. Some of those families—both the parents who hired her and the now-grown children she cared for—are interviewed here, and their memories of Maier are moving, sad, and occasionally chilling. The intensely private Maier carried a camera everywhere, often dragging her young charges on long walks through sketchy slums in order to photograph the careworn faces of people passing in the streets. One woman, remembering how Maier used to violently force-feed her as a child when she didn’t clean her plate, speculates that her forbidding nanny must have been the victim of childhood abuse herself—but, as a genealogist hired to dig up information on her background testifies, Maier’s past remains a near-total mystery. 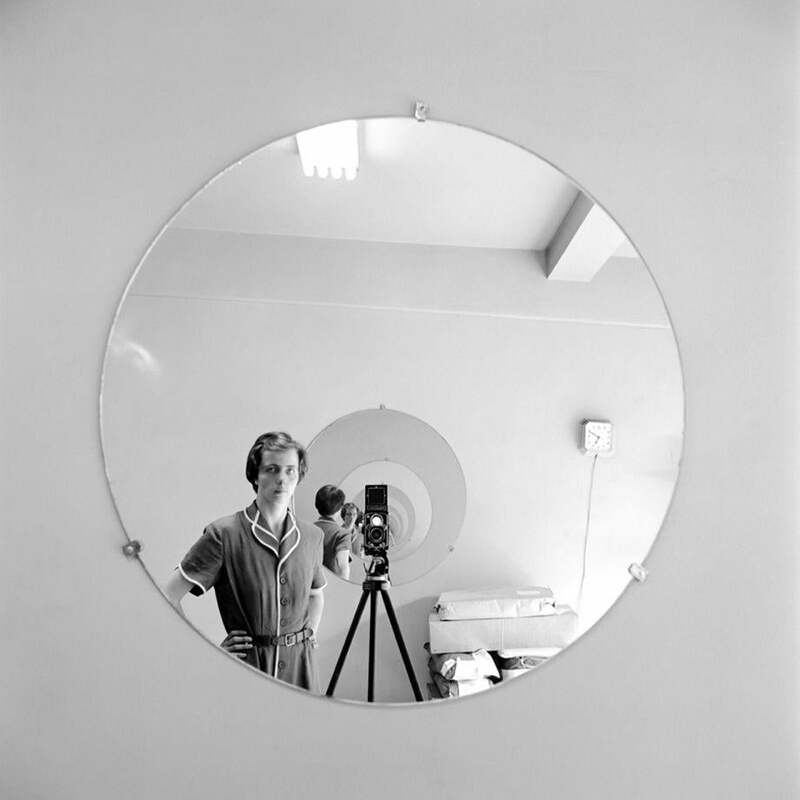 Maier—who appears in her many self-portraits as a tall, rangy figure with a severe kind of beauty, dressed in a style at least a generation out of date, carrying a square Rolleiflex camera at waist level—is such a seductive cipher, and her body of work so distinctive and haunting, that Finding Vivian Maier can’t help but be fascinating for long stretches, especially when Maloof goes to a tiny village in Southern France to track down some of her few surviving relatives. But every time the filmmaker appears as a talking head to narrate his research journey, the film almost begins to feel like a Christopher Guest spoof about art-world arrivistes—or worse, a self-produced infomercial for gallerists and collectors about the cultural cachet and art-market value of the treasure trove he’s named “the Maloof Collection.” Several of Maloof’s interviewees make the pointed observation that Maier herself would likely have hated to have her work and life exposed to public scrutiny in this way, and the filmmaker briefly wrestles with the privacy issues his appropriation of her raises, but he lets himself off the hook far too easily. As antipathetic as I may feel toward its narrator, I should be thankful that Finding Vivian Maier’s Oscar nomination will encourage more viewers to explore these wonderful photographs, with their painterly use of light and shadow, effortlessly artful compositions, and uncanny observation of urban social reality in all its beauty, ugliness, and manifold mystery. The photos will be remembered far longer than the movie about them, I’m certain. At one point, Maloof shows us close-ups of some of the cardboard envelopes in which Maier dropped off her negatives to be developed, many with scribbled notes asking the technicians to treat them with care: “Nice work, please,” reads one plaintive all-caps request. Those notes read now like messages to posterity, an artist pleading with whoever handles her work to present it to the world in the best possible way. After watching Finding Vivian Maier, it’s hard to shake the feeling that Maloof ignored the note.